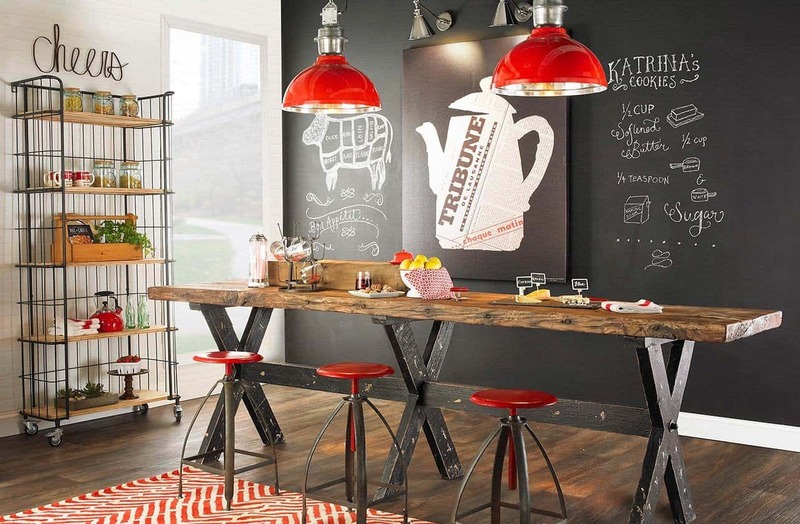 Industrial décor is anything but shy, it’s one of those decorating styles that engulf the room on its very own. Unlike what many believe it’s actually easy to achieve, functional and always a conversation piece. 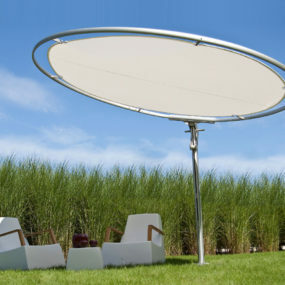 Additionally, it is also a versatile concept that can be personalized to you and your personal style. 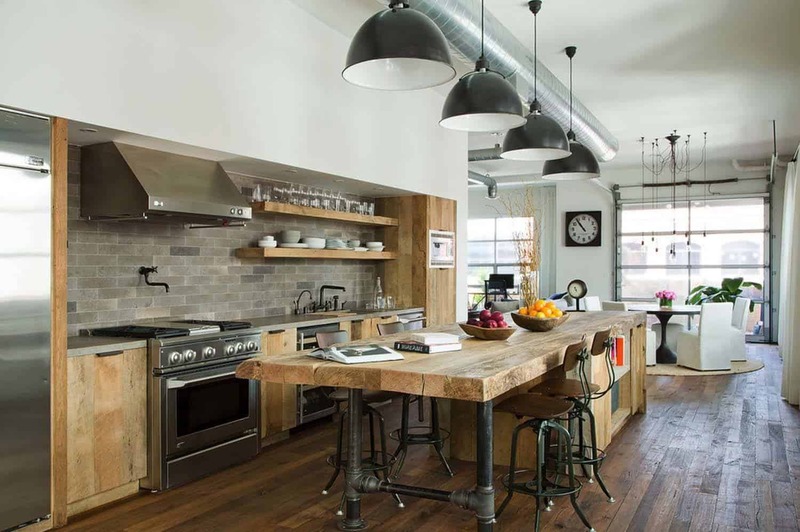 Keeping that in mind, one of the very best places to begin working in industrial décor is in the kitchen. 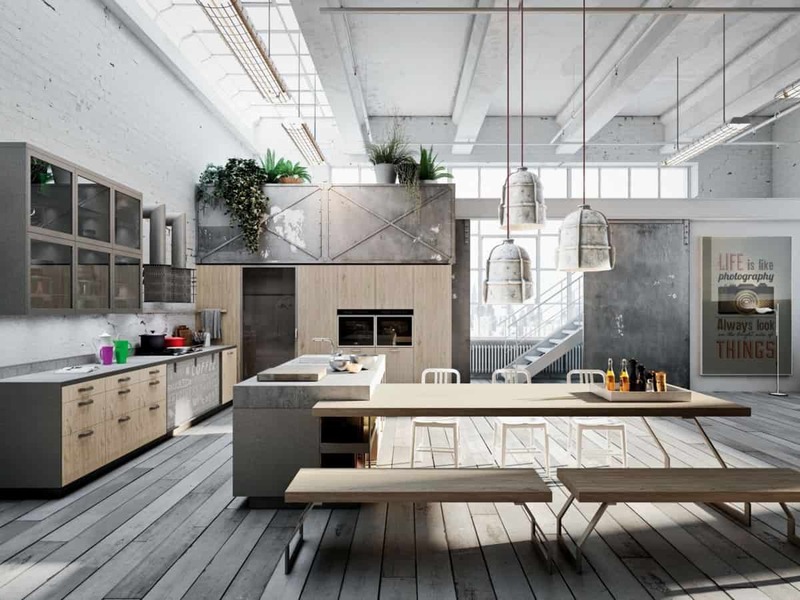 With that being said, here are 10 industrial kitchens that will take your breath away. 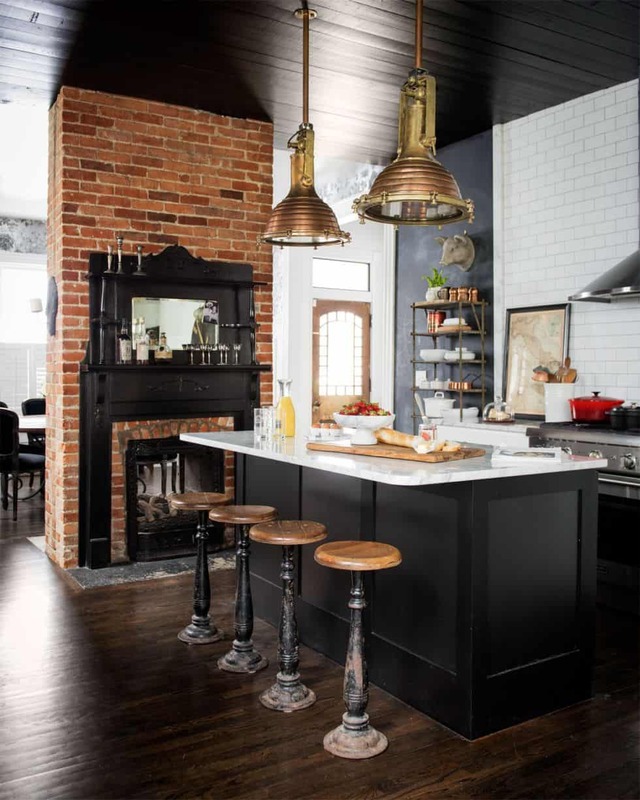 Exposed brick works well when you want to add one single focal point to your kitchen. Having this focal point will help expand the room and give it an intricate twist. If you do not have brick in your kitchen it is time to get some. Exposed brick is quite classic when it comes to industrial décor. 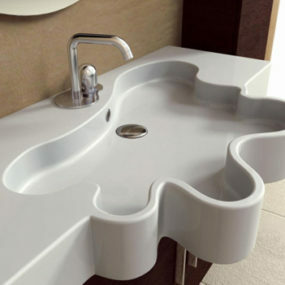 The idea is to have a bit of the natural element intertwined into what your décor already has. If you want to have exposed brick but don’t know how to do so you might want to consider getting faux brick by having a wallpaper that resembles natural brick. Exposing your ceiling pipelines and baseboard allows you to open up the height of your kitchen while giving it the grande effect that it deserves. Just like in a factory you want to have an element of authentic display such as showcasing your pipelines, ductwork and/or beams. 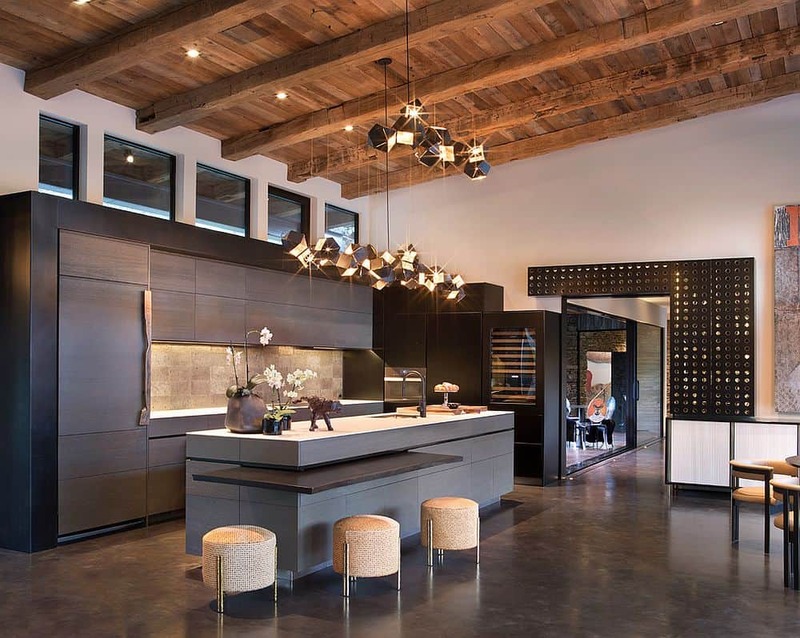 Having the overhead exposed will bring that industrial element without adding or removing additional décor. To achieve this open up your ceiling and have it become the main focus. 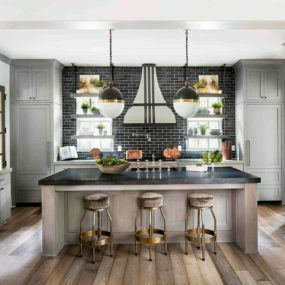 To make the room even grander consider using multiple drop pendants to make a glamorous appeal that is still extremely chic and industrial. Lowering your light fixtures is a great way to have a charming bit that still feels very industrial and unique to the room. Consider having multiple light fixtures at once that are similar in size and aesthetics. If you do not have copper pans do not fret! 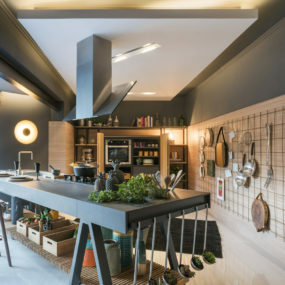 Display any of your pans and allow them to make a well-needed statement, plus let’s not forget how convenient it is to have your pans right when and where you need them. The kitchen can become a cluster of items quite quickly; therefore, with that being said hanging your pots and pans can be an excellent idea. Not only will it showcase and keep your pots on hand, but it will give you an element of industrial décor. The key is using a rack that hangs from the ceiling and having mostly copper pots showcased. Black is great when you want an elegant appeal that is quite traditional yet edgy in its own right. 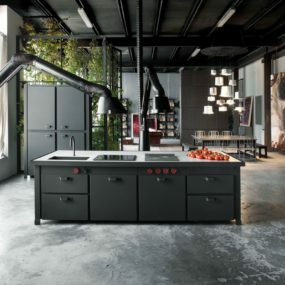 Dark hues are your best friend when you are working on an industrial decorated kitchen, particularly the color black. Black is not only edgy but it’s rich and elegant when it is paired with other essential colors and textures. An open floor plan is a perfect form of opening up the room while having the same decor flowing throughout without any breakpoints in between. 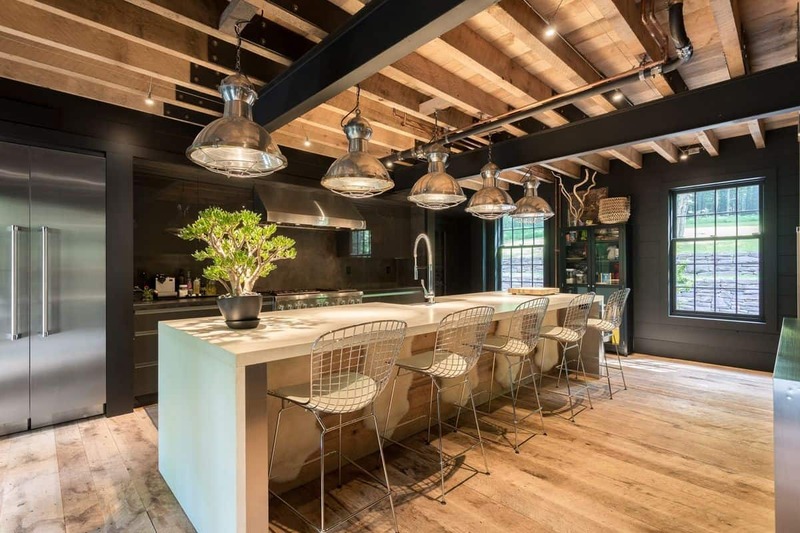 Industrial décor is known for being open and airy, which is why you want to open up the space and allow your kitchen and dining area to be a blend of both. Additionally, having an open kitchen allows for better entertainment when you are having family and friends over. Concrete floors give you that modern element that is quite unique yet seamless to the room. There is something “cool” and innovative about them. 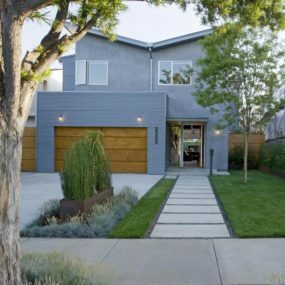 Concrete is not only cheap but it’s versatile. 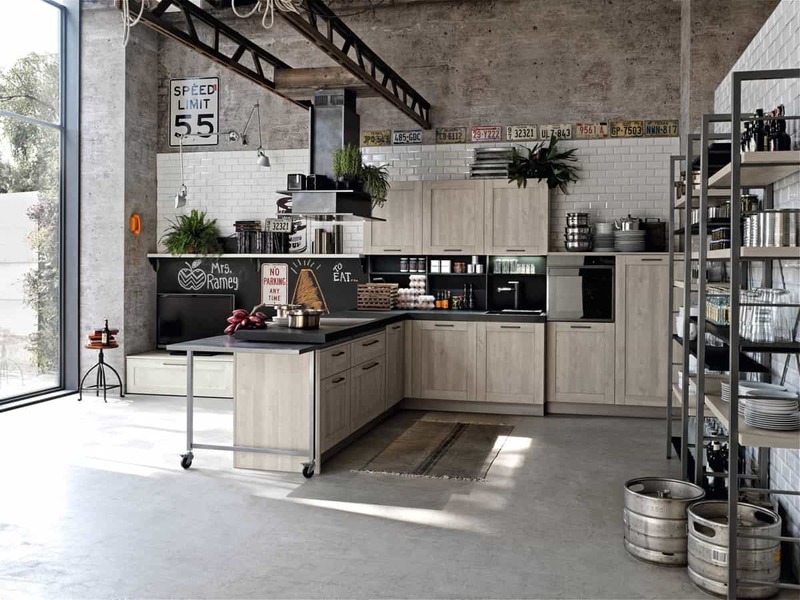 Furthermore, it’s excellent to add to your kitchen when you want that industrial feel in a seamless manner. When left in its natural state concrete works great as a flooring option as well as part of the walls or even your kitchen island. 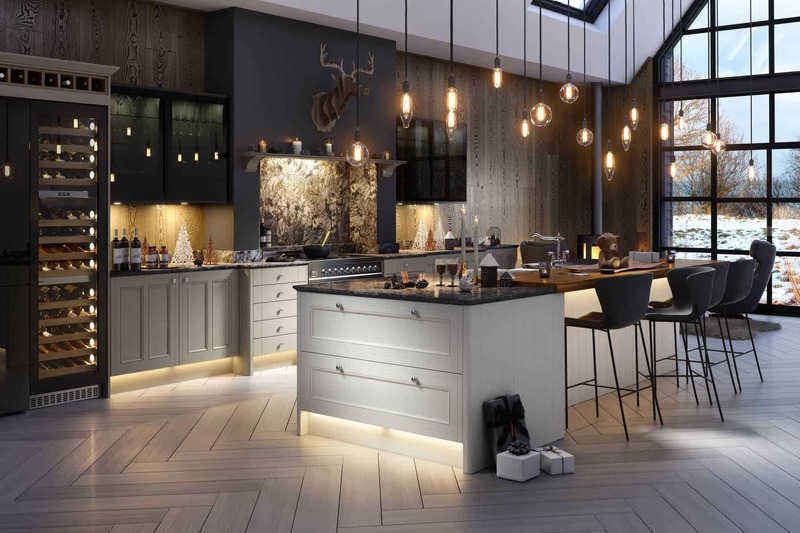 For a stark industrial touch keep the room mostly classic but add a wooden kitchen island to break it down and add that charming bit that brightens the room. 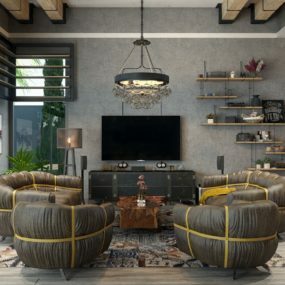 Wood is a classic element of industrial décor, there is just something cozy and “cool” about wood elements perfectly paired with industrial bits to brighten the darker hues and bring a cozy spin to traditional industrial appeal. The lighter the wood flooring the larger the room will appear, even if you have a small kitchen. In retrospect, light wooden floors are perfect for a room that needs a bit of a contrast between the dark colors and the natural elements that make up the room. In order to do just that consider blond wood floors or even gray. 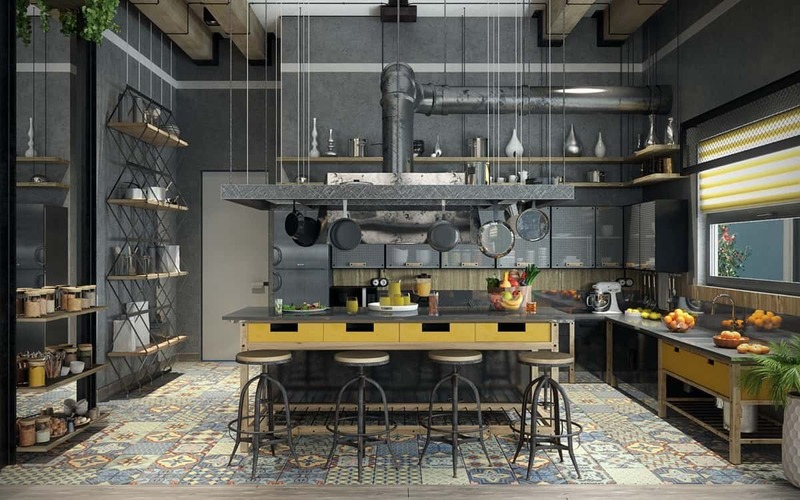 Adding color will make the room come to life instead of being completely monotone as most industrial kitchens tend to be. Its a change to add personality. 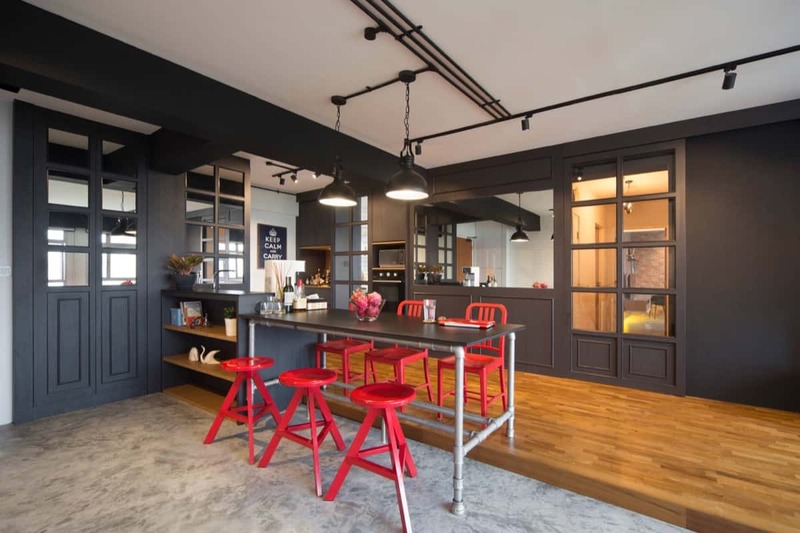 Color is typically the last thing you might think of when you consider industrial décor. 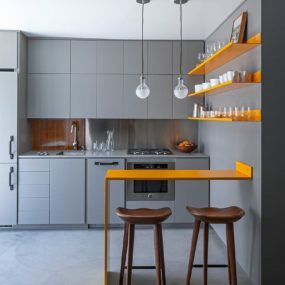 This is mainly due to darker hues being the main focus of an industrial kitchen. But that is not always the case, in order to break it down consider having colorful areas that blend well together and bring color right where you need it. 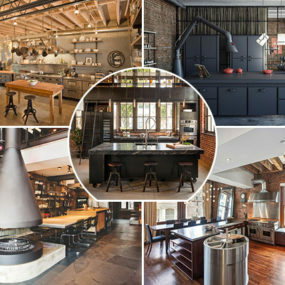 Is industrial décor something you want to try? If so, consider taking your kitchen for a new makeover with one of these ideas. Tell us below what your favorite idea is.